Add your own custom design to the cuff of this natural, canvas stocking. Set up your Christmas tree, hang the ornaments, and don't forget the stockings! Personalize your home during the holidays with this customizable canvas stocking. Add the names of everyone in your family, roommates, and friends and fill it up with presents to open on Christmas morning. 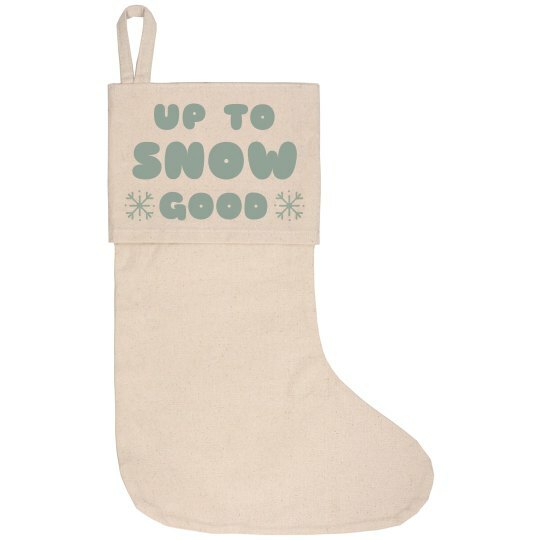 We know you're definitely going to be up to sNOw good this holiday season, so snag a fun, canvas stocking to embrace your mischievous side.